As the duration of the disease increases, the risk of developing progressive MS (PMS) grows. In this progressive phase, immunotherapies often begin to function worse and therapeutic goals need to be readjusted. The complex interacting mechanisms that drive progression forward remain puzzling. An important role in the loss of nerves and the increase in disability could play the so-called glial cells, the support cells of the brain. Of particular relevance are the astrocytes, which showed a malfunction in many studies on PMS. Unfortunately, there are no blood characteristics (serum biomarkers) that can be used to reliably detect progression or to predict further deterioration of an already existing progressive disease. However, nowadays the determination of astrocyte-specific molecules, e.g. the Glial Fibrillary Acidic Protein (GFAP) as well as nerve cell death marker (neurofilament light chain, NfL) in the blood of PMS patients is possible, through the use of novel cutting edge technology. Within the scope of a cooperation with the University Medical Centers Ulm, Tübingen, Rostock, the Institute for Clinical Neuroimmunology of the LMU Munich, the Marianne Strauss Clinic as well as the Clinic Dietenbronn it is examined whether the above mentioned markers are useful for the determination of the disease activity in the blood. This study is supported by the DMSG, Bundesverband e.V., within the scope of research funding. The MS Forschungs- und Projektentwicklungs-gGmbH provides the joint documentation platform. The project duration is scheduled for 24 month. The project started in July 2018. 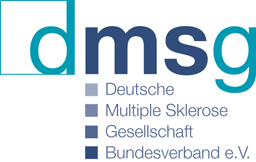 This study is supported by the DMSG, Bundesverband e.V. within the scope of research funding.